Quad stage, Inductive / Resistive switchable power attenuator. but without hearing damage or police knocking on your door. 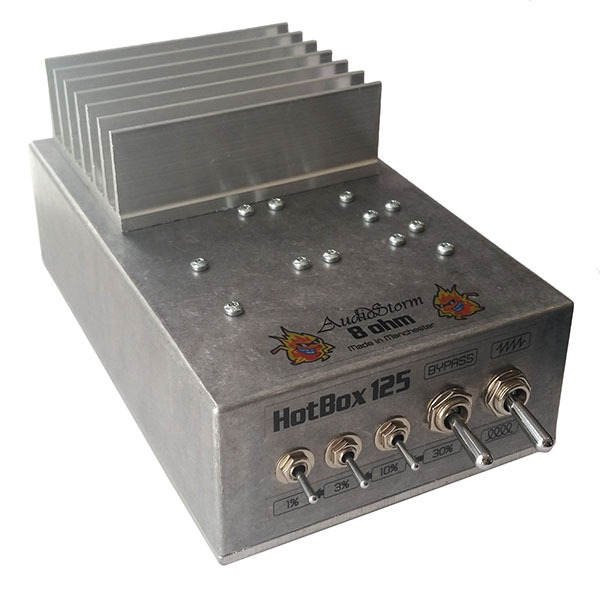 The HotBox 125 is a premium power-attenuator that enables you to drive your valve amp brutally hard into those sweet overload conditions yet output the perfect volume for every situation. 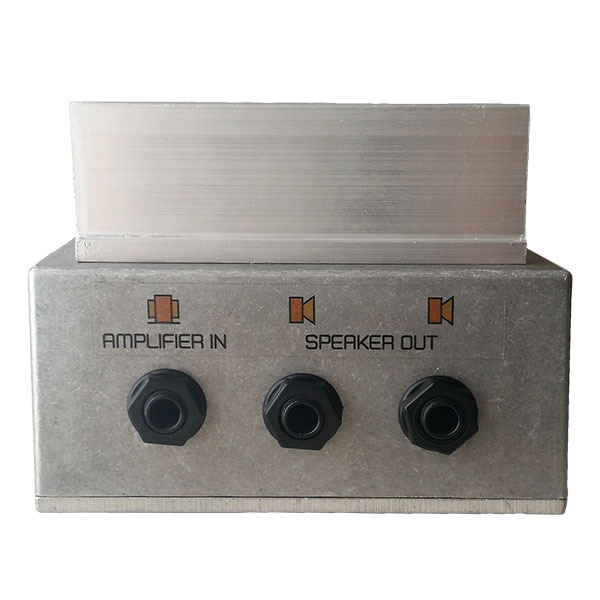 Simply connect the 125 between your amplifier's output and the speaker itself then turn your amp up to overload levels and the excess volume is absorbed leaving you with the true sound of your amp overloading but at a manageable volume. Why choose? There are pros and cons to each so the HB125 lets you switch between them on the fly! Resistive attenuators have a tighter, more modern and defined sound. Inductive attenuators soften the response to pick attack at the top-end and give you a looser, more vintage sound. The HB125 has a quad mode switchable reduction ratio to enable you to choose how loud your amplifier sounds when overloaded and you're driving its valves hard. From a subtle reduction suitable for jam sessions right down to bedroom* levels the HB125 does it all. (*Unless you have one of those insanely super-loud Plexi amps in which case it'll get you to shut-the-door living room levels, but you have to admit that's still a mighty impressive reduction for an amp like that!). Suitable for any valve amplifier upto 125 watts. Switchable Inductive and Resistive attenuation. Four reduction levels plus true bypass provide fine control from Jamming to Studio to Bedroom. Designed and built in Manchester, UK using only the best components. Dual speaker outputs so you don't have to daisy chain your speaker cabs. Powerful and indestructable: Gets the job done with no messing about.